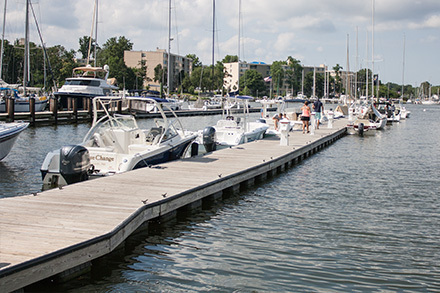 Bert Jabin Yacht Yard is proud to be one of Maryland’s Certified Clean Marina’s, adopting policies to help protect Maryland’s natural resources. 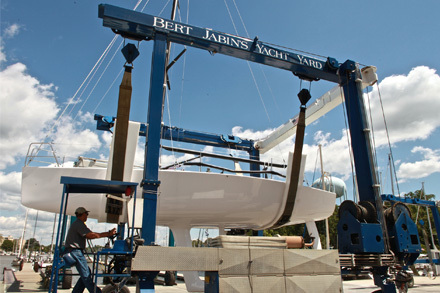 To prevent contaminants from seeping into the Bay, all boats that are hauled out and blocked on land (with the exception of our Brokerage area) are placed over a filtration cloth, while our wash water recycle system enables our yard to capture and recycle 100% of the water used in power spraying boat bottoms. 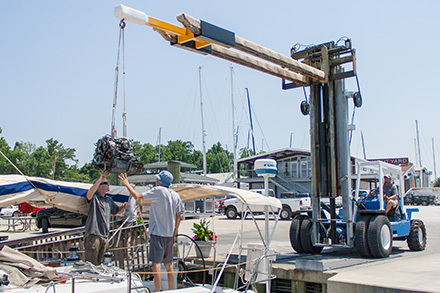 Our on-site containment area allows for safe disposal of used oil and filters, antifreeze, diesel fuel, and waste paint materials, while a recycling collection area allows recycling of aluminum, plastic, paper, cardboard, and shrinks wrap materials. 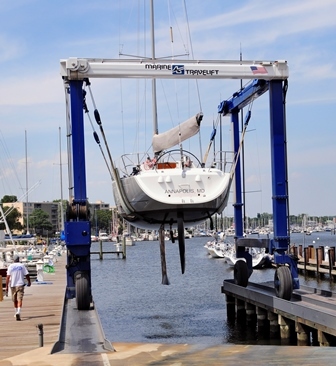 Our business operates under highly trained and experienced staff, ensuring that all boats are handled in a safe and efficient manner. 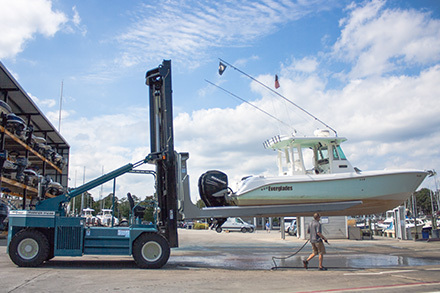 Equipment on site includes: a 75ton and 50ton travel-lift, two 35ton travel-lifts, three fork-lifts, one hydraulic trailer, and a 30ton crane. All of our equipment is well maintained under strict standards and readily available for assisting our customers with any service needs. 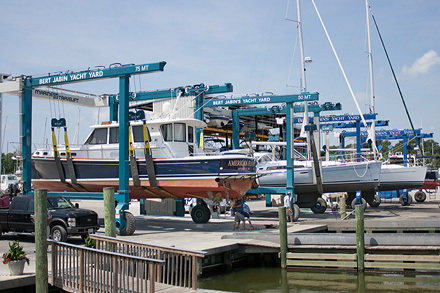 For boat repair, customers have the option to either do their own work (abiding by our environmental policies) or to hire one of the many onsite, fully insured contractors. 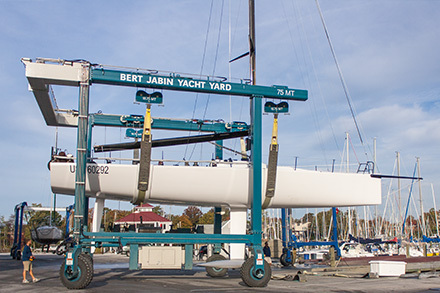 From bottom painting and engine repair to complete refitting and fabrication, our service companies can do it all! Outside contractors are also welcome, and must check into our main office and provide a proper certificate of insurance upon arrival to our yard. For questions regarding scheduling our services, or for contractor referrals, please contact our office.